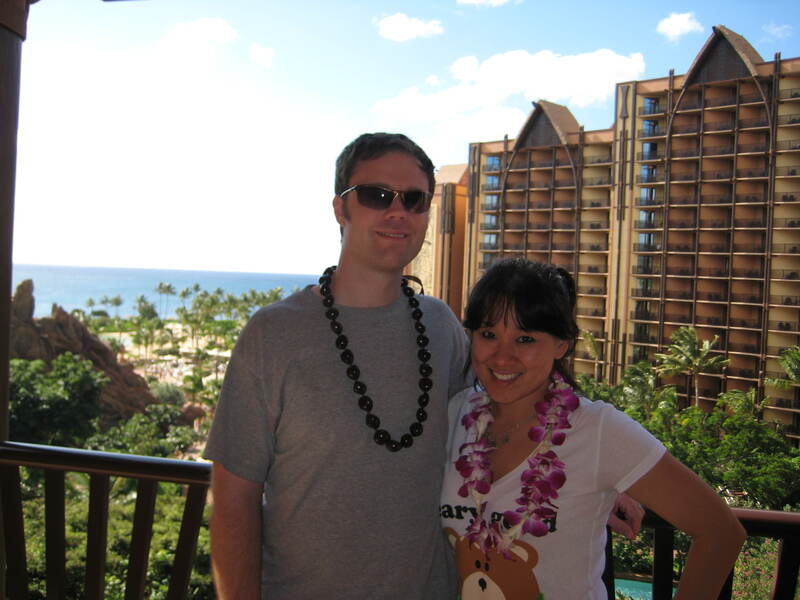 Hawaiian Disney Magic, pt 1: Welcome to our Villa!! 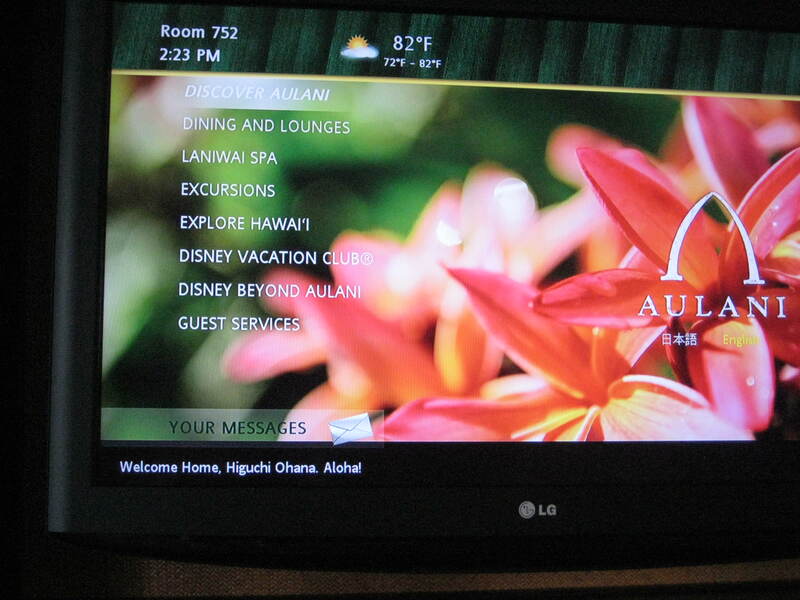 After a morning of checking out a few open houses (my parents will likely move to Hawaii once they retire) hubs, my sis, my aunt and I loaded up the car and headed over to check-in to our 2-bedroom villa accommodations at Aulani – a Disney Resort and Spa! 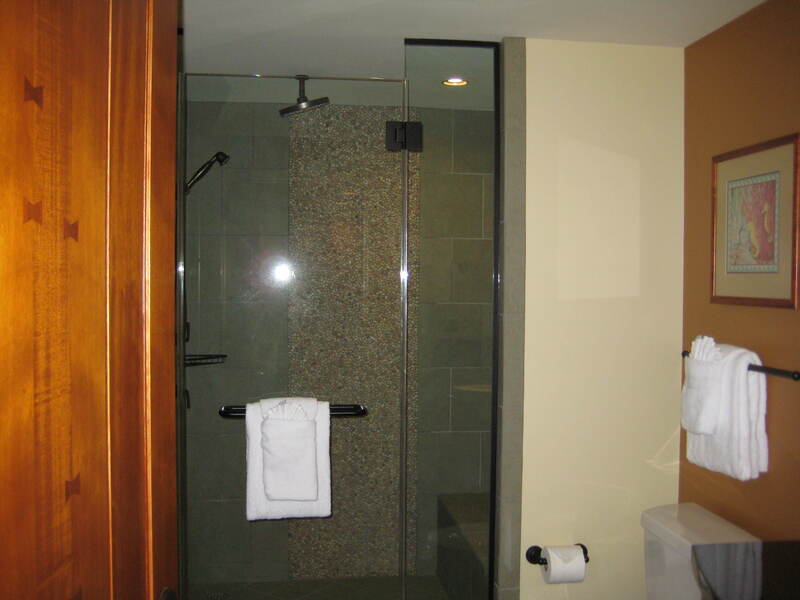 It was around 2 PM so we weren’t sure if our room would be ready…but excitingly enough…our hostess was kind enough to inform us that it was!! 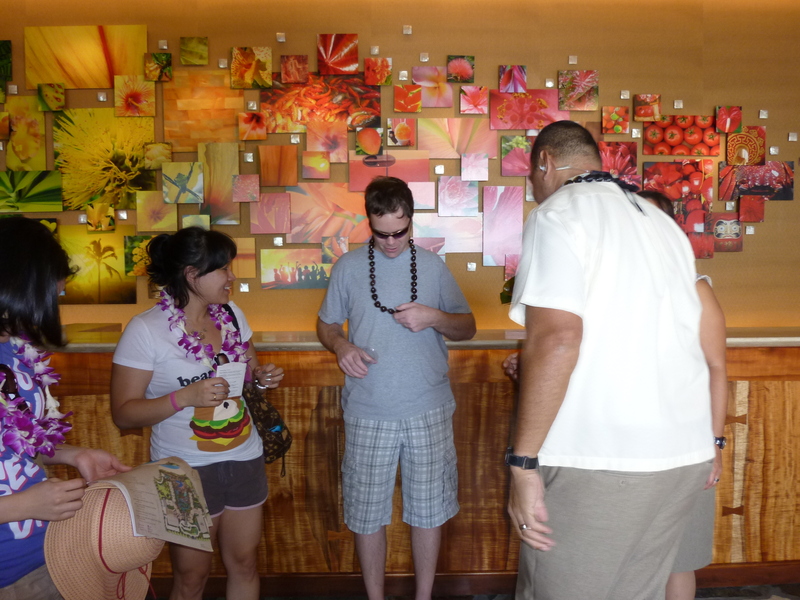 The gals all received gorgeous flower leis and hubs was happy about his kukui nut lei – after all, the flowers were a little too pretty for him plus he was allergic to the fresh ones. 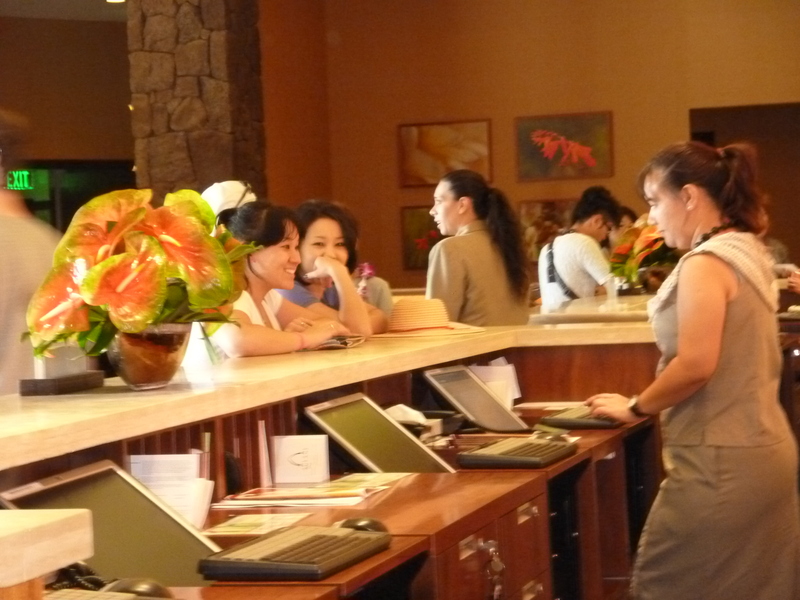 After that, we received our keycards and were ready to check out our place! What's behind door number 754? 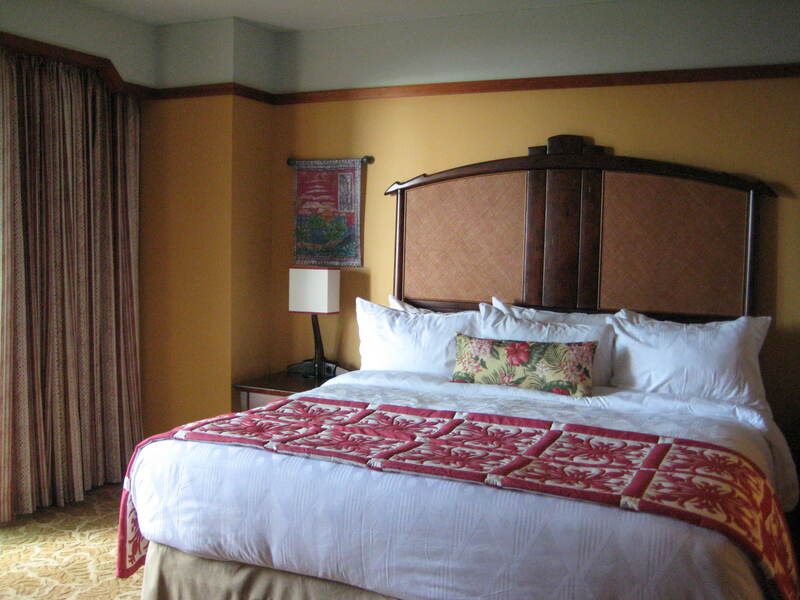 Since we have joined DVC, we have stayed in a variety of 1-BR villas, but nothing could prepare us for the amazingness of this brand spanking new resort! And what a way to welcome us…. Our balcony view...waterpark and ocean! 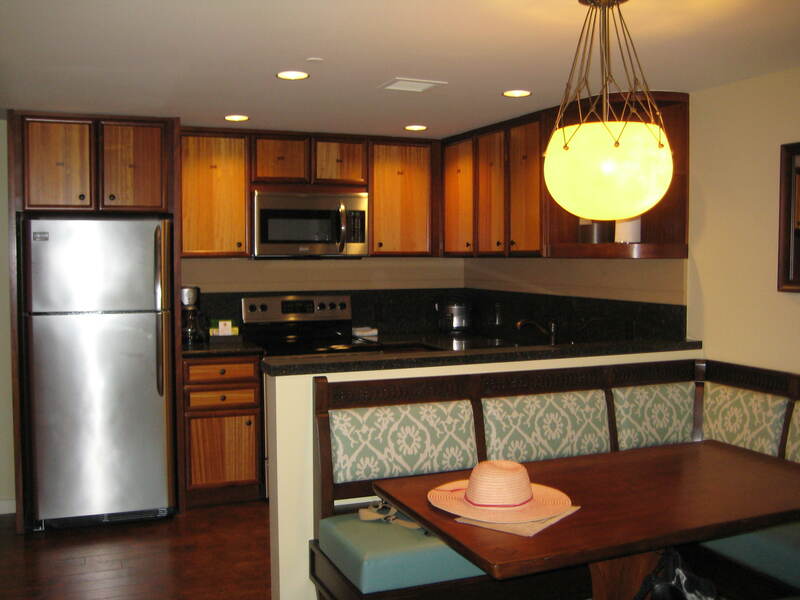 Fancy fully stocked kitchen, fun booth...hidden Mickeys in the cushion design! 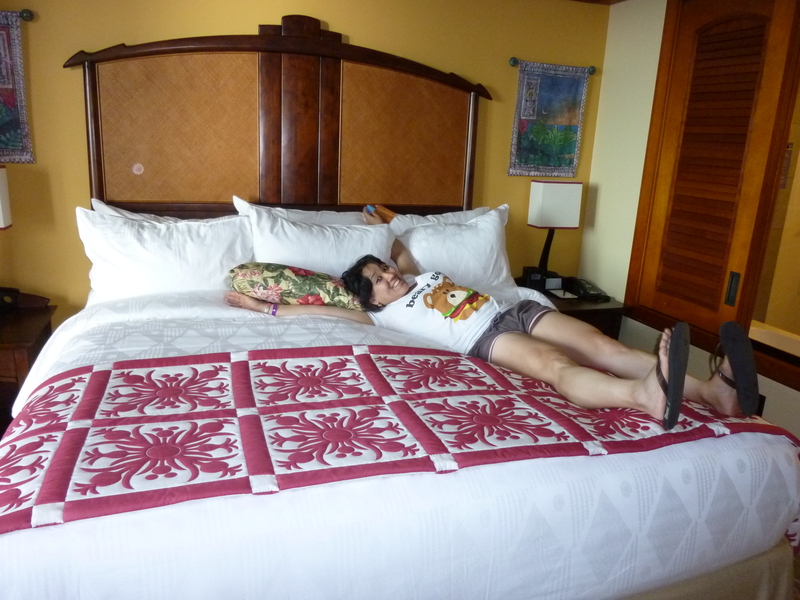 King size bed in the master suite...so comfy. Queen size bed in the studio section, along with sleeper. HUGE glassed in shower with rainfall!! 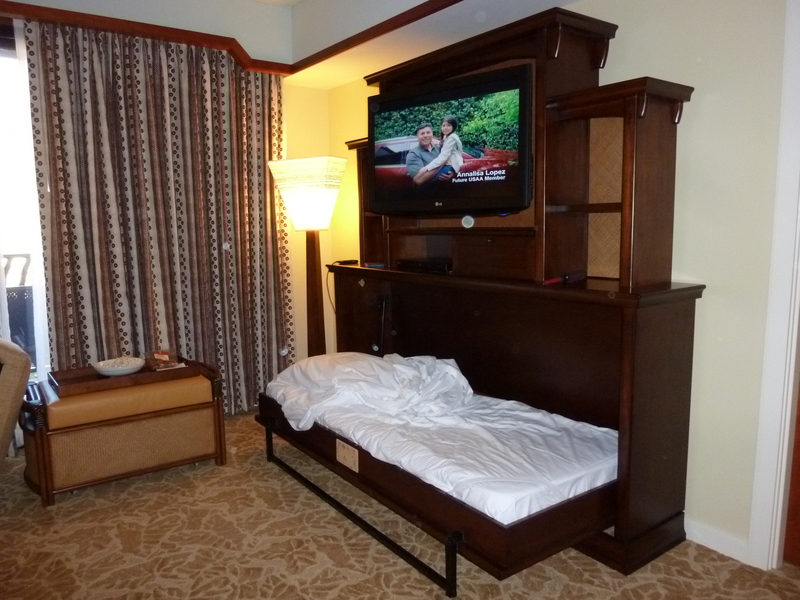 ...and you cannot forget the TV stand Murphy bed! 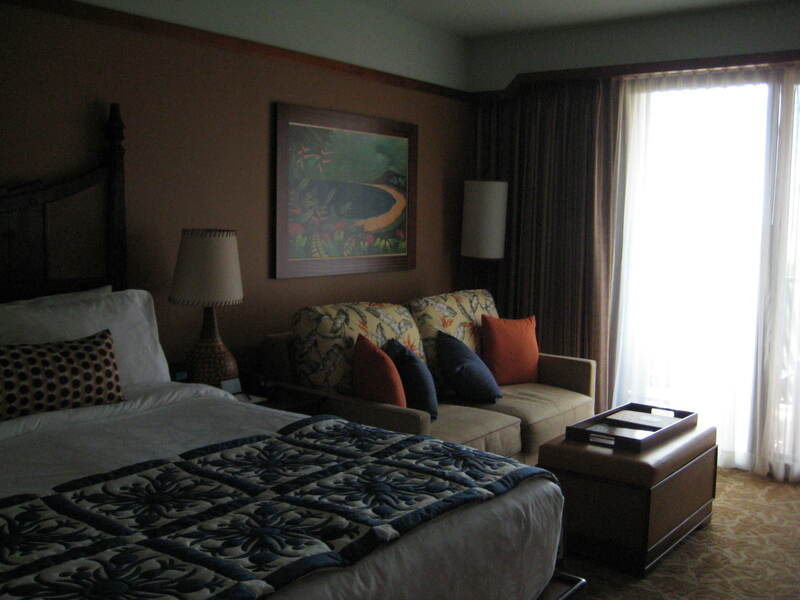 Amazing room or not, however, there was a whole resort for us to go out and explore! We had to get to it!